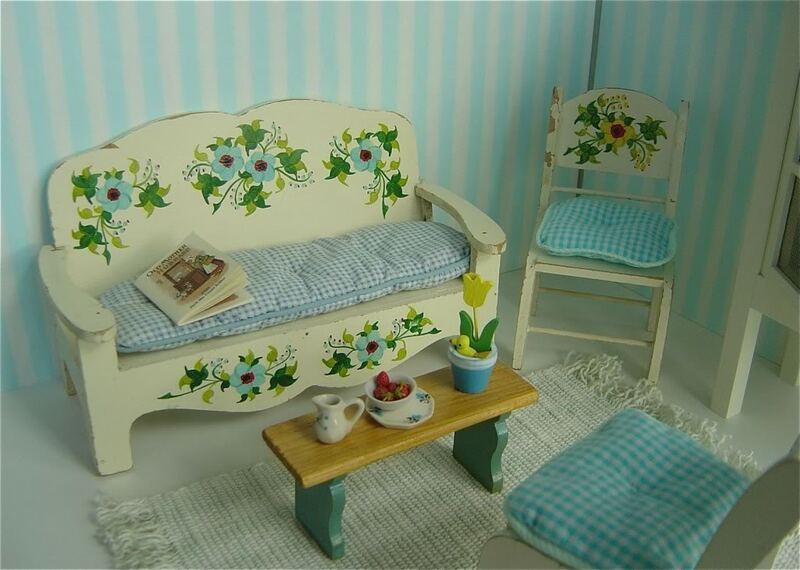 SOFA AND CHAIRS: Charmingly hand-painted, French vintage sofa and two chairs, with soft gingham cushions on the seats. On the sofa lies a small printed book. 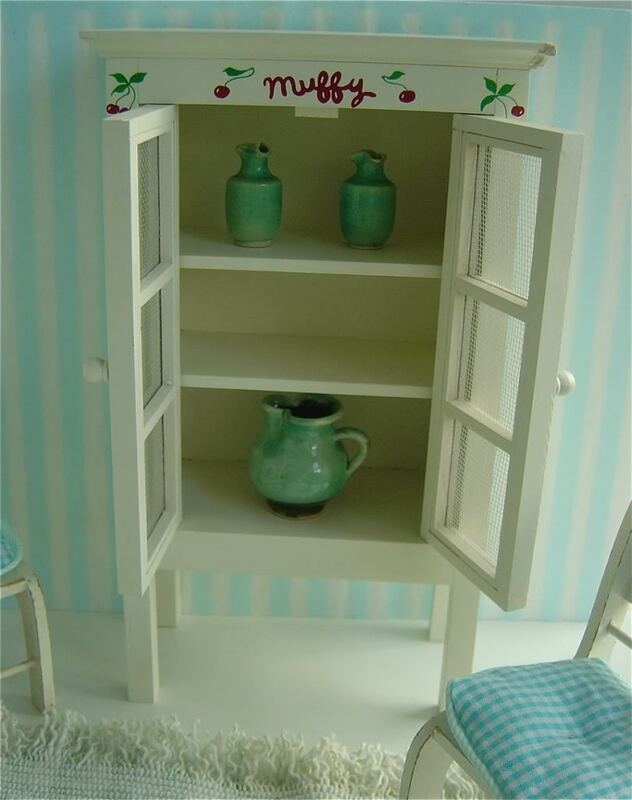 CUPBOARD: a beautifully finished, late 20th c. piece with internal shelves, originally made for the American bear, Muffie. Shelves hold a vintage eau-e-nil ceramic jug and pair of vases. TABLE: little vintage Bavarian bench to hold modern ceramics for a snack of strawberries-and-cream. RUG: Loosely-woven and fringed vintage fabric rug. WALLS: Covered in hand-made, hand-printed wrapping paper, which has been mounted on two A3 pieces of 5mm thick foam board. Each piece of foam board measures 42x29.5cm or 11 5/8 x16. 3/8in. 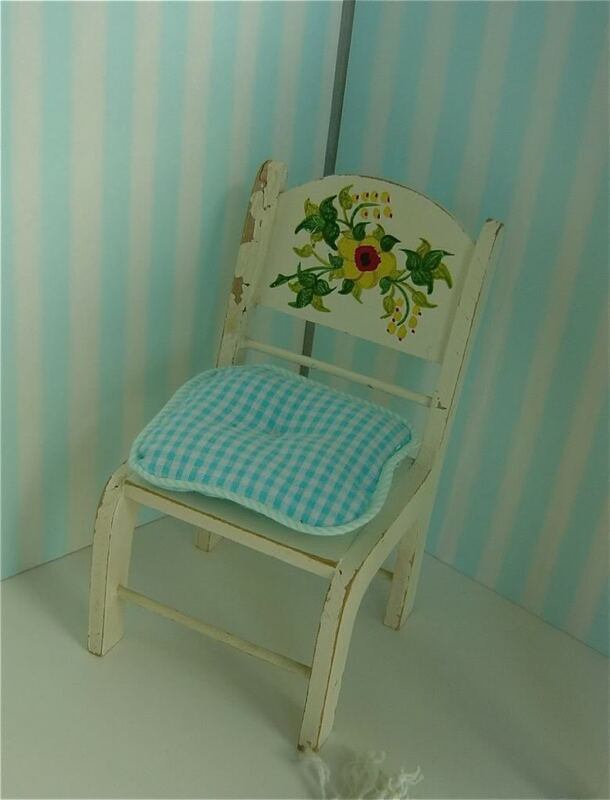 Dolls:Available from our selection of vintage dolls. 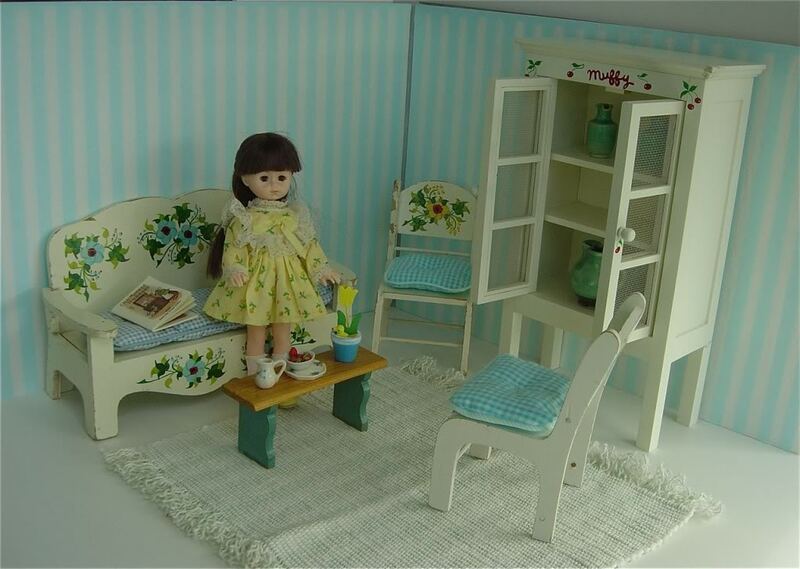 This one, a Lesney Ginny is in excellent condition, has long brown hair and bendable knees. Price: £35 with vintage dress, socks and yellow shoes shown. Additional clothing for this doll is available – please see the relevant section of our website.